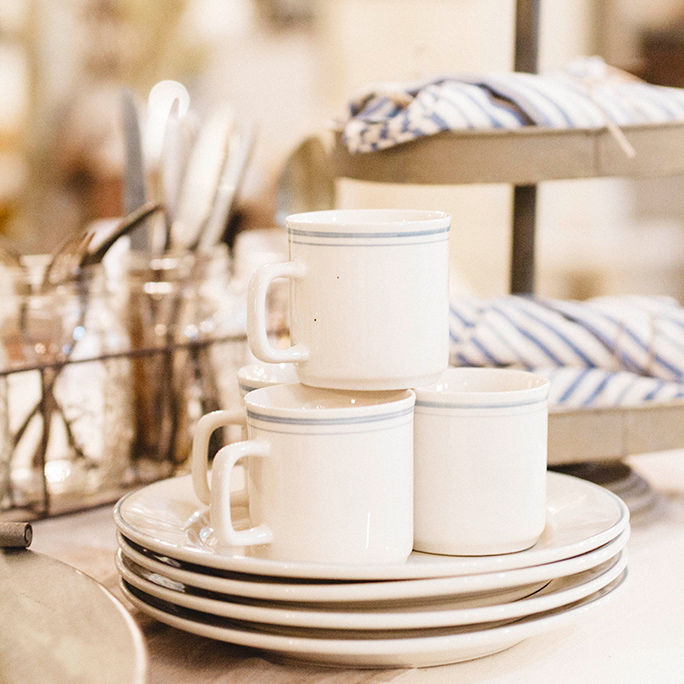 Rustic, minimal and cozy, the farmhouse look is warm and welcoming taking us back to the days of rural farm living. 1. 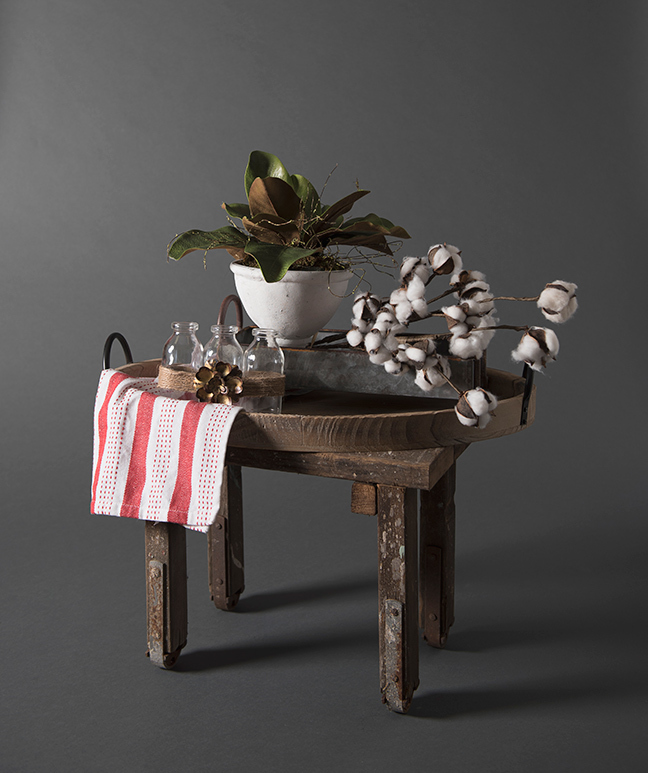 Stool from antique scaffolding, large wooden tray, red-and-white stripe napkin, set of three bottles, galvanized handle tray, magnolia leaf in white and cotton stems, available at Fleur De Chic. 2. Dishware, available at The White Rabbit. 3. 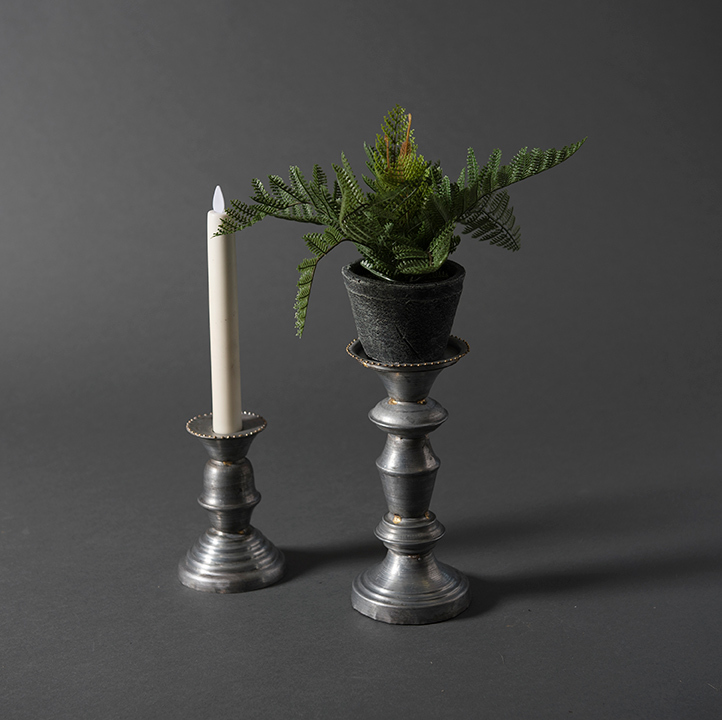 Galvanized candlesticks, available at Markeplace at the Abbey. 4. 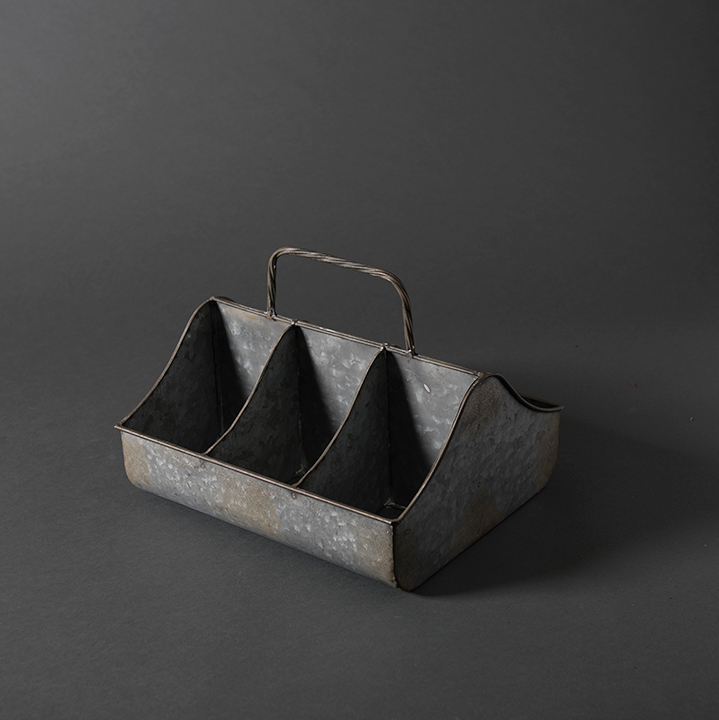 Galvanized cubby, available at Marketplace at the Abbey. 5. 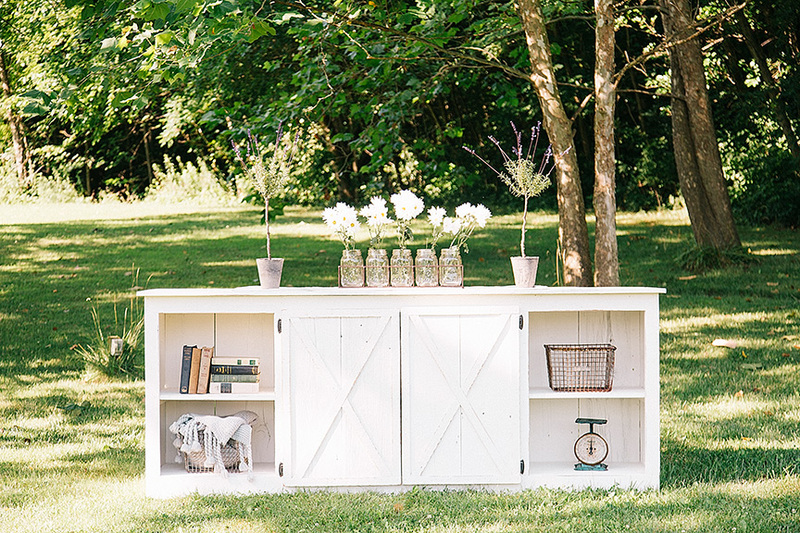 Farmhouse sideboard, available at The White Rabbit. 6. X-base table with zinc top, by Noir Furniture, available at Design & Detail. 7. 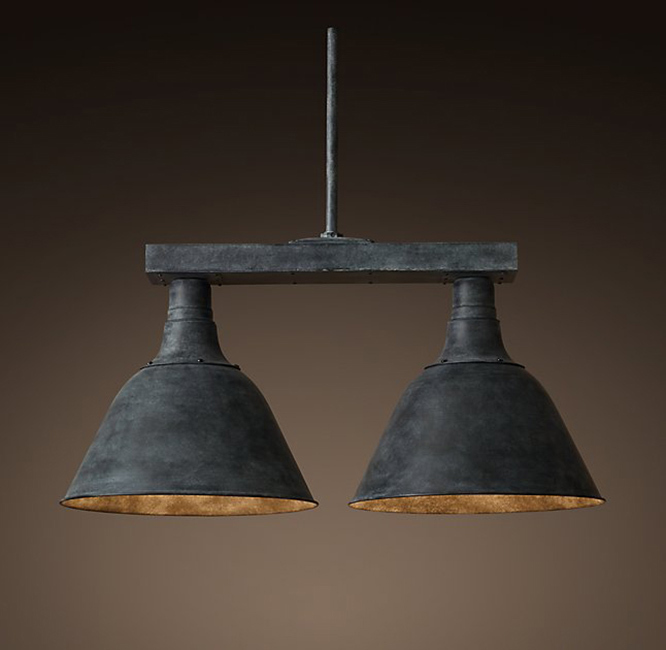 Vintage French farmhouse double pendant, available at Restoration Hardware. 8. 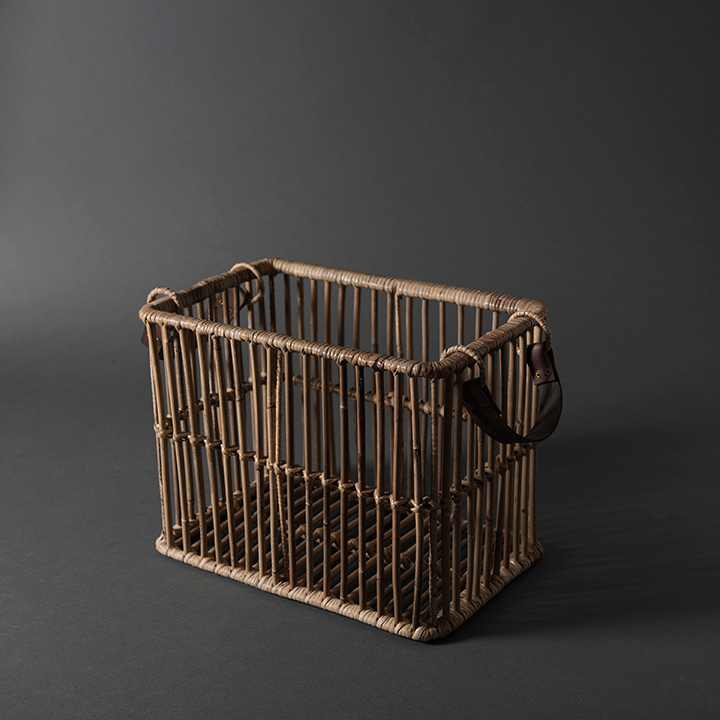 Tobacco basket, available at The Jeweled Cottage. 9. 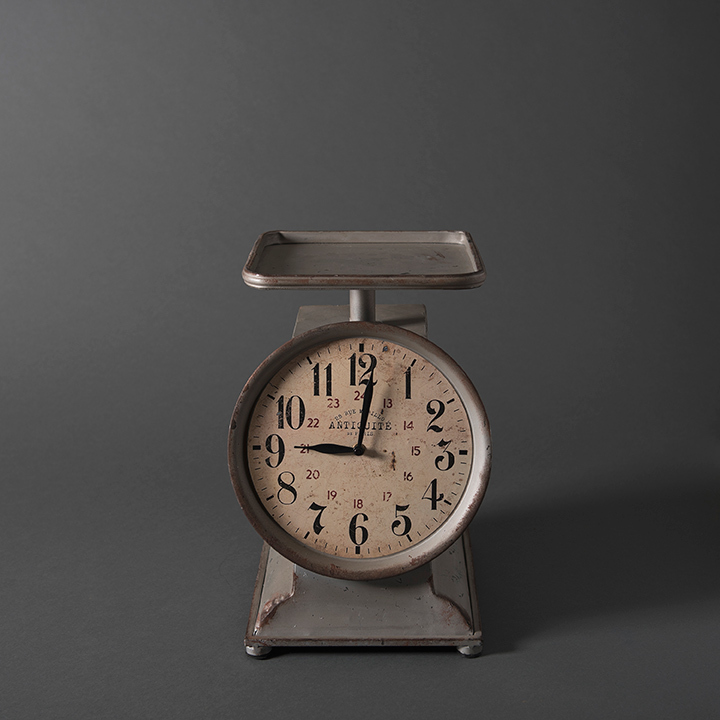 Grocery scale clock, available at The Jeweled Cottage. It seems like everywhere we turn we see the farmhouse look popping up. And no wonder the design style has exploded in popularity. Rustic, minimal and cozy, the farmhouse look is warm and welcoming taking us back to the days of rural farm living.